Bring your fridge out of hiding and into the limelight! Big Chill is a Colorado-based, family-owned business specializing in mid-century retro appliances with all the modern amenities. 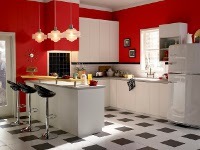 All appliances are available in 8 fun colors, or your custom color choice. 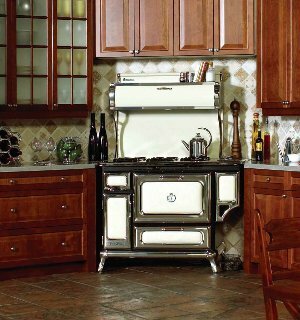 Northland AGA PRO Marvel is a leading international premium consumer brands group which manufactures and distributes some of the best known and loved kitchen appliances and interiors furnishings in the world. Known for its longstanding heritage, technical excellence and innovation. Aga. Good food and fine living. Iconic and contemporary designs in a full product range. Taste is everything. Classic look for that unique kitchen. 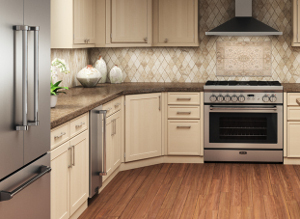 Complete the look with refrigerator, range & dishwasher. Gorgeous! Refrigeration at it's finest, with choice elegance & quality. 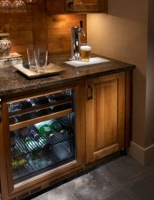 Under-counter refrigeration units go beyond the kitchen. Marvel is proud to provide the finest line of under-counter refrigeration. We’re passionate about outdoor cooking. There’s something very primal and satisfying about grilling and smoking food over a charcoal fire. We also love that rich, smoky flavor that only natural lump charcoal can offer – it’s the difference between serving a meal and an outdoor feast. 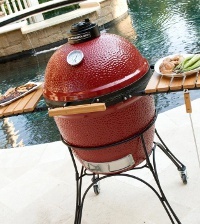 Our goal is for you to experience the high level of satisfaction we do each time you use a Kamado Joe grill. DCS was launched as the leading provider of quality cooking equipment with high performance for the commercial food industry. Recognizing the desire for home chefs to master restaurant culinary cooking, DCS expanded its innovation and design to pioneer high-end commercial quality appliances for the home. Icemakers offer you that crystal clear ice that you can enjoy in the comfort of your own home. Nugget machine makes soft chewable ice that absorbs the flavor of your favorite beverage. The Brilliance line offers clear cubes that odorless, tasteless and slow melting. Convenient and stylish they are a great addition to any home. Today the complete U-Line product collection includes Ice Makers, Wine Captain, Models, Combo® Models, Refrigerator/Freezer, Refrigerators, Refrigerator Drawers and Beverage Centers. Perlick is the pinnacle of luxury home entertaining. All products are designed & crafted to look and perform than any other alternative. Perlick offers multi -zone undercounter refirgeration in 24" & 48" configurations. Luxury you deserve -Innovation you can't live without.